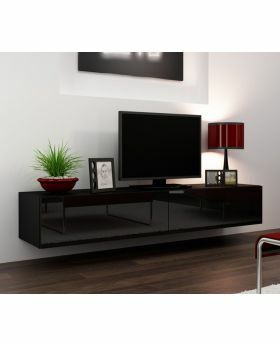 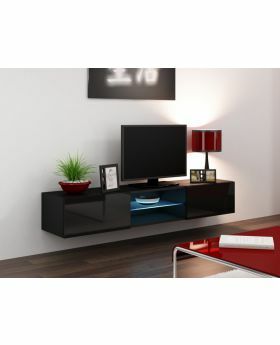 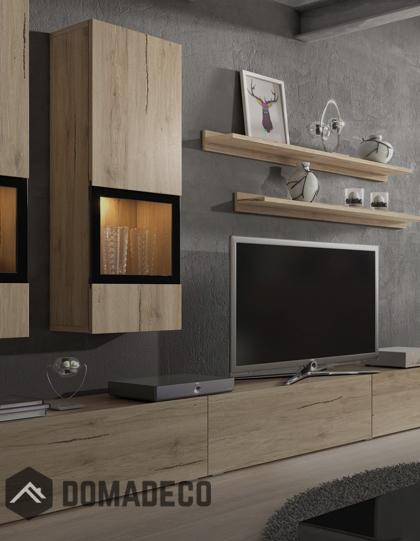 Central TV Stand for modern homes. 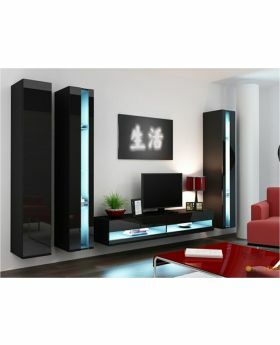 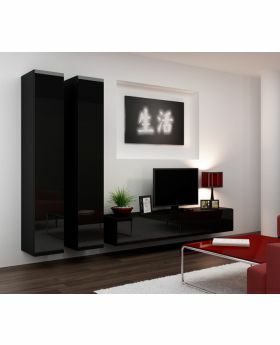 High capacity TV stand model with drop down doors. 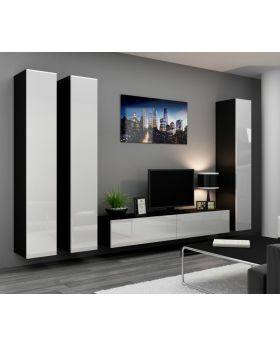 TV cabinet - 30/180/40 cm - 11,8"/70,9"/15,8" two fronts in gloss, door open system "PUSH-CLICK", inside 2 separate storage compartments. 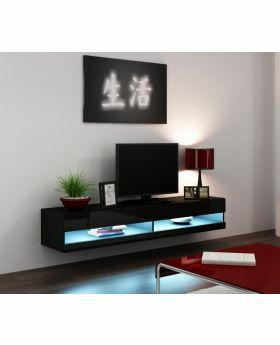 LED lit shelf for media equipment. 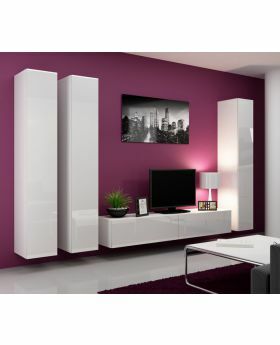 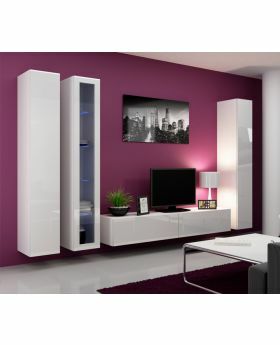 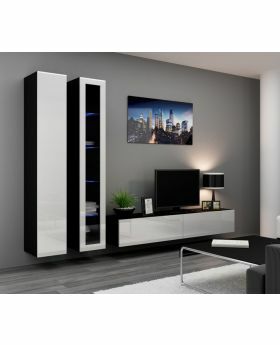 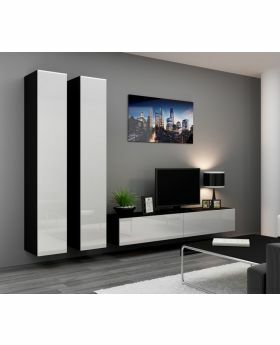 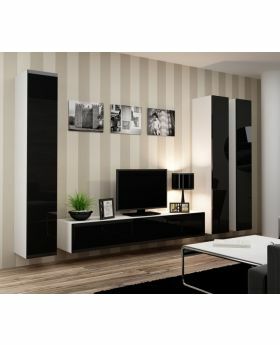 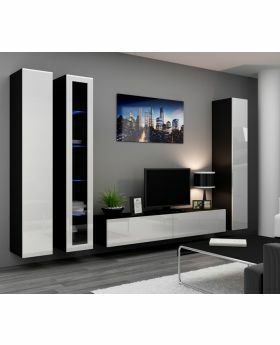 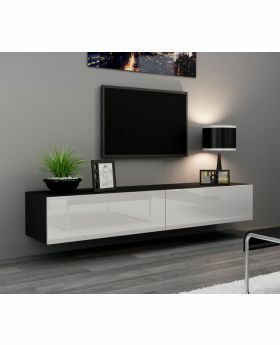 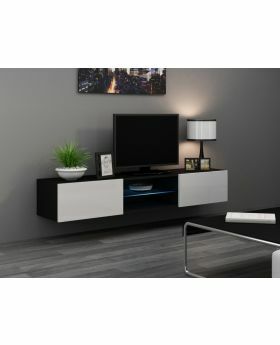 Fronts: high gloss white TV stand made of quality materials. 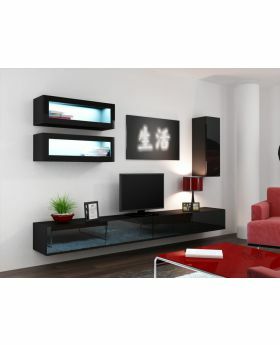 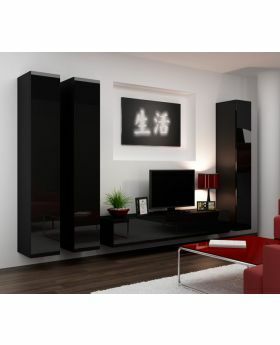 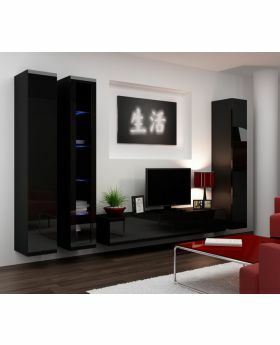 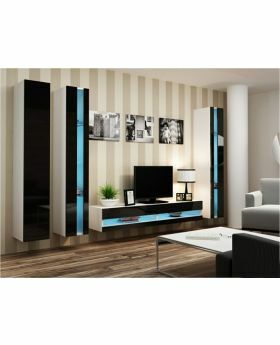 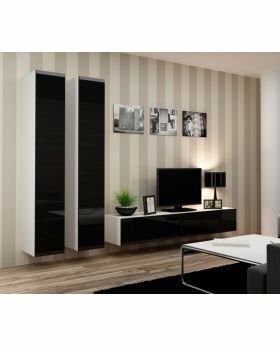 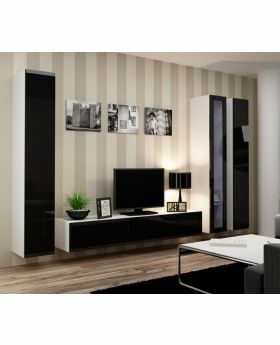 range of furniture for living rooms to match the style of the presented model. 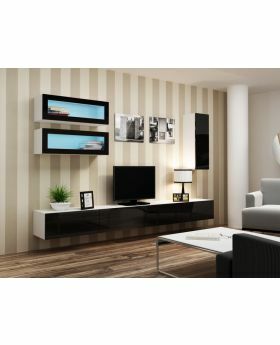 -- Please Select --Width - 180cm / 70,9" Width - 160cm / 63"